Join St. George Races for the first ever Fit Games in St. George. There are two different competition styles: CrossFit St. George's Fitness Challenge and The Grip's Ninja Challenge. There will be a maximum limit of 30 teams, so sign up before they're all gone! The Grip will be setting up a Ninja Warrior course for all to try! Tickets will be sold at the event. It will be $3 for kids and $5 for adults for each run of the course. All are welcomed to attend this event and cheer on their friends, families or teammates as they compete! The SunBowl will be free to enter for spectators. Information: Packet Pickup will be the morning of the event at 8:00 am until 9:00 am. It will not be possible to receive your material before or after this time. Do I have to be a participant to attend the Fit Games? No! Athletes and spectators are welcomed at the Fit Games. There is no cost for spectators to come into the SunBowl to watch! What competitions will there be? We will have a Cross Fit St. George Fitness Competition and Ninja Fitness Competition course going. Pre-Registered Teams will compete in the Cross Fit St. George Fitness Competition while anyone is welcomed to run the Ninja Warrior course for a fee. 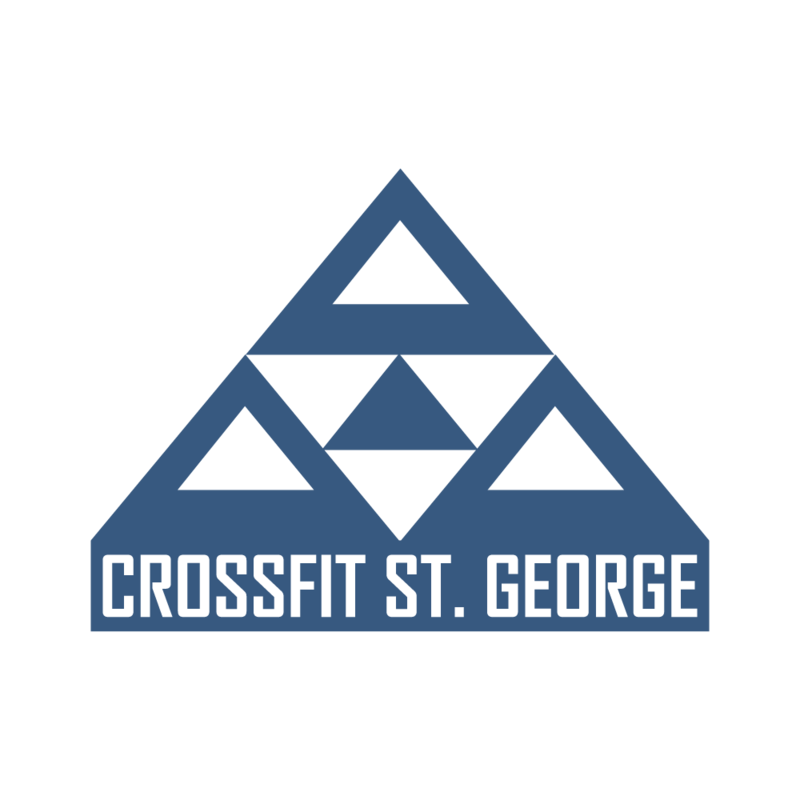 What Cross Fit St. George Fitness Competition events will there be? Cross Fit St. George Fitness Competition will feature 3 events. The first event is 'The Clipper' - Run 1 lap holding a 45 lb weight (men) or 25 lb weight (women), 120 box jumps, 30 synchro burpees, 30 lunges, final lap holding weight. The second event is 'The Max Effort' - row relay style, then, clean, hang clean, S2OH The third event is 'The Burner' - In MF pairs, everyone starts at barbells: MF-A does MAX synchro deadlifts (155 men/105 women) while MF-B traverses 50ft of wheelbarrow walks. Then MF-A and MF-B switch and A does wheelbarrow walks while B does syncho deadlifts. There will be multiple runnings of it. What Ninja Competition events will there be? A Ninja competition course will be set up to compete in. The course will remain a mystery until revealed at the event. The price to run the course will be announced shortly. What are the Ninja competition Divisions? What else will be at the Fit Games? We will have Vendors outside the Fit Games selling their goods!